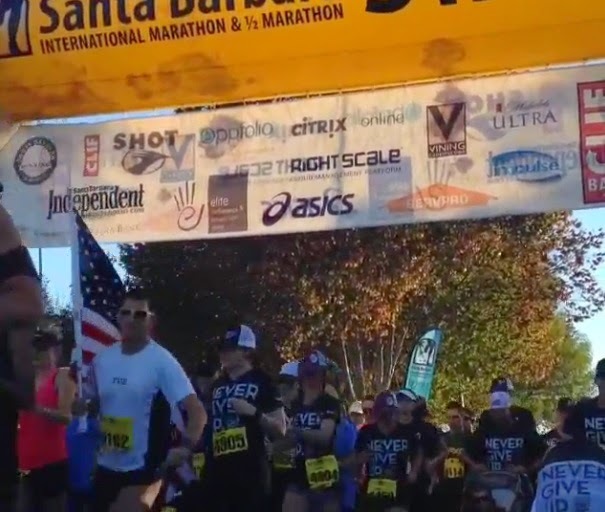 This marks the 5th time I have run a race at Santa Barbara International Veterans Marathon weekend. It is only because of a scheduling matter and my dunderheadedness (100% a real word) that I missed running this race in 2011. The race is not an easy one. 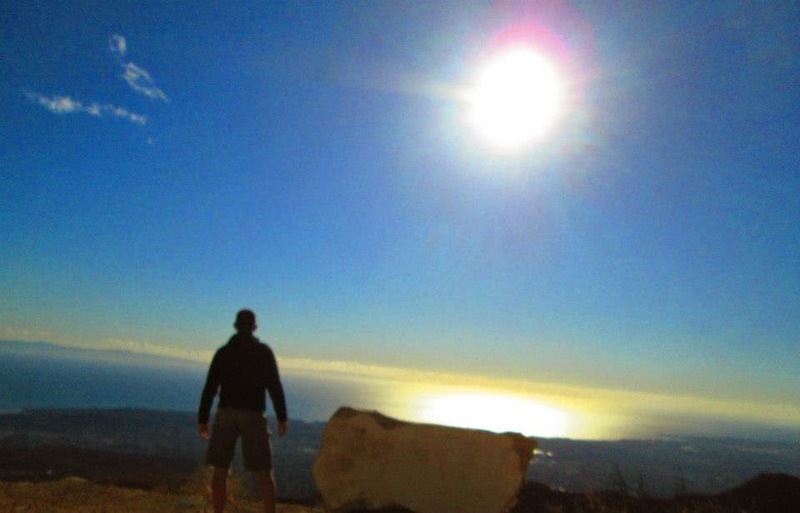 In addition, Santa Barbara itself should just change its name to It’s Always Sunny In Santa Barbara as it is perfect for all activities outside of running a long-distance race. As such, obviously there are reasons why I return again and again to a race where I have never run fast. The course has changed a few times during the time I have run it. Nothing major but you can tell they are always tinkering to make it better. This year, with a finishing line right at Leadbetter Beach, I think they have had the best race yet. I addition, the past few years the race has been tied in with Veteran’s Day. This connection is something I very much applaud and is another one of the main reasons I run this race. 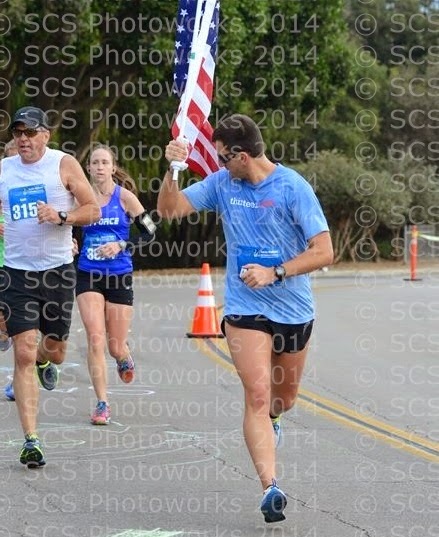 To show my thanks for all the veterans, I have, for the past three years, ran the entire race carrying a large American flag. It is tiring and cumbersome but just a fraction of the pain and suffering those guarding our country go through each day. My running in the race this year was actually a last minute decision. I have been dealing with an Achilles/calf issue all year and until about two weeks ago I hadn’t decided if I would do any races at all in November and December. I love running but I don’t like running while injured or out of shape. I see nothing brave or studly about stumbling across the finish line in a far from stellar time just to collect facebook applause or a shiny bauble. When I realized it appeared I would be able to run this race without causing further damage, I sign up immediately. Unfortunately, even the normal sunny weather would be warmer and sunnier than usual this year. As I signed books at the expo, I told runner after runner the same advice: Tomorrow is not the day to try and set a PR. Realize this race is going to test you because of the heat and simply dial it back. Runner after runner agreed with me. I can only wonder how many actually followed the advice they asked for. I wished to shoot for right around 1:30 even though I knew that would be a stretch, all things considered. However, when the gun went off I found myself comfortably running right at that pace. I had quickly moved to the side to avoid having my flag in anyone’s face. More than a few runners were confounded as they had to navigate around a tight opening stretch where a group running for some organization had staked out the left third of the starting line. I heard someone lament that it was great they were raising money or awareness or whatever but it was also necessary to not endanger runners by being out of place. At my pace, even taking it slightly easy, I felt a stab or two of pain in my calf in the first mile. I hoped they would quickly subside, which they did. Even running conservatively here, the 1:30 pace group stayed just in front of me. Over the next few miles it would pull a tad in front of me, although I was running the same pace. Given the fact that the last six miles of the course contain a series of uphill and downhills, the pacer, Craig, had intended to bank some time here on the mostly flat portion in order to make up for the inevitable slowing later. I simply wanted to run a good pace and stay out of everyone’s way. The next three miles or so are spent running on a narrow bicycle path with all of its obligatory twists and turns. One main reason I had not continued to run with the 1:30 group was because it was a very large pack. The last thing I wanted to do was negotiate tangents with twenty people in a tight-knit group. However, as cautious and courteous as I was to others, I still deserved to run my own race. I assumed runner etiquette would kick in later on in the race, since one or two runners near me didn’t seem to be showing it right now. On more than one occasion, I had one female runner pass me, only to fall into place right in front of me where she promptly slowed. I would pass her, switch the flag to the other hand so that it would flap against me and not into her face, get a reasonable distance in front of her, switch hands and then maintain the exact pace. I didn’t understand the logic in her racing plan but so be it. When I hit the 7th mile, I was pleased to be right on pace for a 1:30. I knew, however, this would not continue as the sun was baking me. More importantly, trying to tackle hills effectively where you cannot use your arms is a difficult task. I knew the hill ending at mile seven was the nice long gradual one but not too steep. The hill around mile nine was a double hill with a nice downhill prior to going up again. But both of these paled in comparison to the one going up Cliff Drive at mile 10ish. Each time I went up an uphill I had to make a wide pass around the same female runner from before. She did not seem too strong on these uphills. Now that we were on the wider road this was not a problem. I would veer to the side and stay out of her way. However, I still found her in my hip pocket. As we crested the hill at mile nine, we made a right hand turn. With the flag in my right hand, I could see nothing to my right. As such, I nearly collided with her as she tried to sneak into the curve on my inside. I almost came to a complete stop out of shock but continued on. As we went down the long 1.5 mile downhill, she started to pull away from me. Good, I thought. I would rather not have to deal with her anymore. This section was the first in quite some time where runners were afforded a reasonable amount of shade from the surrounding mountains. Santa Barbara is rather oddly positioned on the coast. Given that it slopes diagonally back east, the sun actually rises over the Pacific Ocean in places. If you know anything about geography, this is quite unsettling. Fortunately, because of this oddity, these mountains shield you from the sun at this point in the course. When there was no shade, I am not ashamed to admit I would try to use the flag to provide me some shade. I was drenched in sweat from mile one on but knew I would still sweat even more. As we hit the next aid station (which were very plentiful and well-stocked) I noticed the female runner in front of me had stopped to grab a drink. I slide right through the aid station, reaching across my body to grab a cup of water. I drank my water in stride and motored on running on the far left curve. A few spectators had made their way out to this portion of the course and were cheering us on. Given it was barely 8:30 in the morning, I was very flattered. In fact, while not necessarily six deep, there were plenty of places where spectators had lined the course. In addition, multiple volunteers where on-hand to direct traffic and runners. Top notch all the way around. 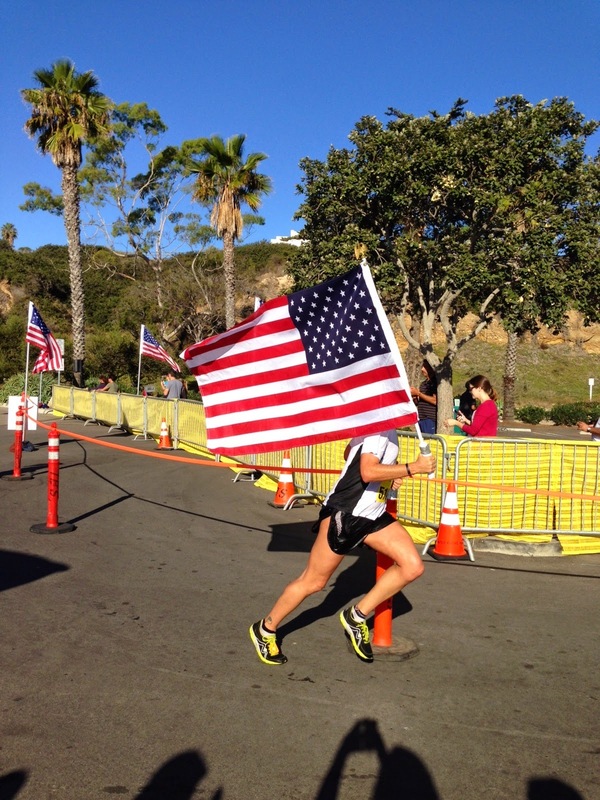 As I continued down the hill, I could hear the footsteps of the female runner, but given the position of my flag, I could not see here. As we neared the end of the downhill and were about to make a left handed turn onto the brutal Cliff Drive Hill. I could see what was going to happen. Since she had headphones on I didn’t even think of saying anything to her. Instead, as soon as we began the run up Cliff Drive, I passed her again. Near the merciful top, my calf twinged sharply and I pulled over to the side. I walked for about five steps before I realized it was fine. If I had not been dealing with calf issues all year I doubt I would have even noticed. I expected the runner behind me to pass me but she never did. I continued on. At this point I began to reel in runner after runner who probably wanted to run a 1:30 but chose the wrong day and course best suited for their chances to do so. We did a quick couple turns through a neighborhood, with one small surprise uphill left before the 1.5 mile downhill toward the finish. At the final mile two separate servicemen, who appeared to be highly ranking were handing out small US flags for every runner to carry. This entire last mile is lined with flags every ten yards or so on both sides. It is extremely moving even when you are sucking wind. When I passed the high-ranking solider with the flags he looked at the 3x5 footer in my hands and said “This man needs no other flag.” I felt honored. As we entered the last quarter mile, I saw the finish had two sharp turns before a straight 50 yard finish. I looked to my sides in order to make sure no one was sneaking up on me and might get hit by the flag. Then I heard someone say something to a runner who was obviously not too far behind me “You go, girl!” Oh, for the love of all that is holy, she’s not going to run into me again, right? With the two turns out of the way and no one around me I raised the flag high as the announcer called my name and made specific notice of the flag. I brought it down again about ten yards from the finish because I didn’t want to poke and deflate the inflatable arch at the finish. Suddenly, as if from under my arm, I’ll be damned if that female runner didn’t scoot by and in front of me. Again, I had to pull back as to not trip over her. I thought when writing this recap I might call this runner and the organization out publicly in order to make sure this sort of things doesn’t happen again. Then I realized that will change next to nothing. In addition, I will be the bad guy who criticized a charity runner. If you care, it wouldn’t be hard to look at the results and times to get a name of the runner and the organization. 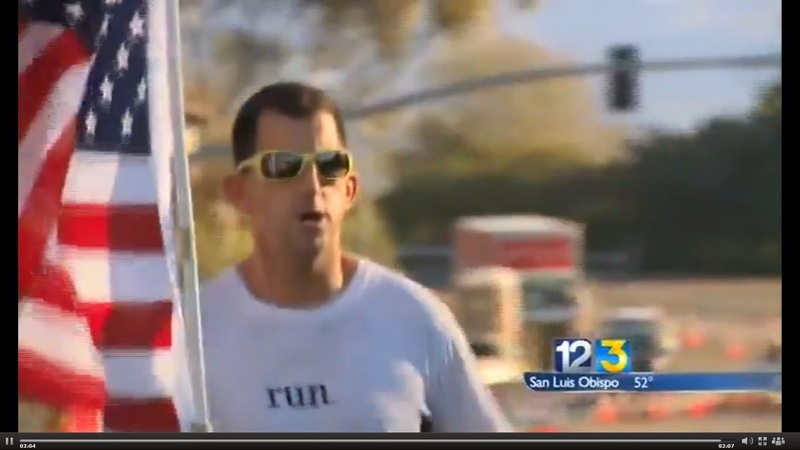 I am sure this runner is a fine person who does good deeds. But they were basically a jerk on this day. All in all, the only thing I want all runners to do is have fun, be competitive, and be courteous. As I have always said, except for one infinitesimally small accident the entirety of the complete universe is comprised of everything but you. Try to remember that when you do anything. Do you best to avoid unnecessarily inconveniencing others. If anything, the Veterans for whom this race honors have done that exact thing. The sacrifices we make in order to show we appreciate their actions are very small. 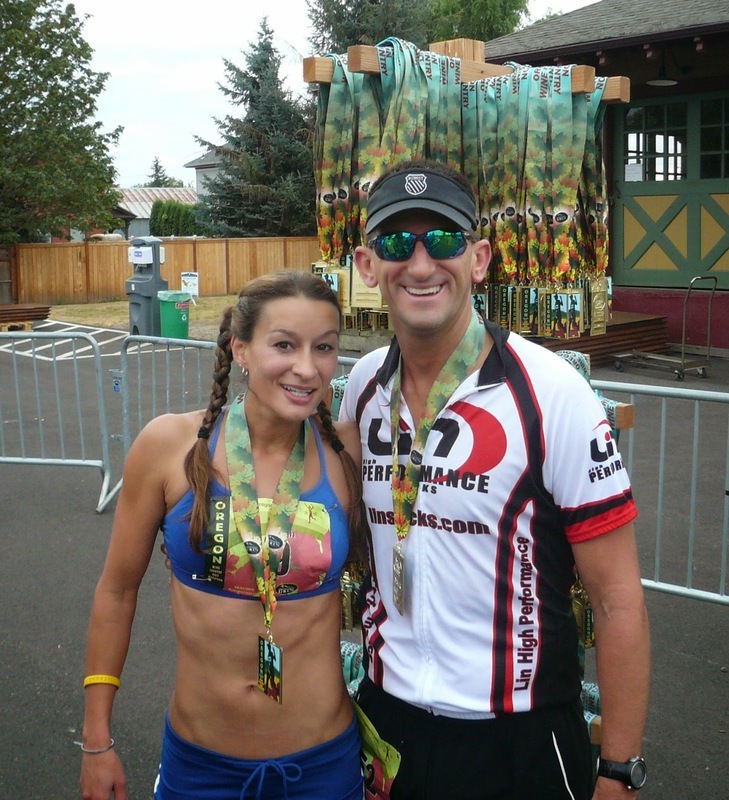 Having stated all of that, you should definitely put this race in your to-do list. Then, I would suggest staying around for a day or two. The weather might be a bit warm for running, but once you are done, it is darn nice for everything else.